In Canadian popular culture, few symbols are as iconic as the family cottage. The summer home appears regularly in Canadian novels and films, and it has long been used by governments and private corporations to signify what the good life looks like in this country. Cottaging thus represents escape from the cares of the world, and immersion in a natural landscape that is dedicated to pleasure, relaxation, and tranquility. Ojibway playwright Drew Hayden Taylor disrupts this idealized image of cottage life in Cottagers and Indians, a new play running until March 25th at Toronto’s Tarragon Theatre. The play uses the interactions between its two characters to show that cottage country is a contested place, home to misunderstandings and conflict between competing interest groups. On one side is Arthur Copper, an Anishnaabe man who seeks to renew his community’s relationship with the land by reviving the traditional practice of harvesting manoomin, or wild rice, from northern Ontario’s lakes. Opposite him is Maureen Poole, an uppity Torontonian who fears that Copper’s rice-planting activities will ruin swimming, boating, property values, and the manicured version of nature that is favoured by cottagers. Through warring over wild rice, the characters reveal the many factors that divide them—wealth, education, urban-vs.-rural perspectives, and most importantly, race and ethnicity. Though Cottagers and Indians largely plays these differences for laughs, it raises a serious question: what does decolonization mean for cottage country? In the wake of the Truth and Reconciliation Commission’s report on residential schools, even some native leaders have argued that Canada has reached a turning point in its relationship with First Nations people. The Idle No More movement has kept Indigenous demands in the public spotlight, and the current federal government at least pays lip service to decolonization. But what implications do such developments have for Canada’s resort and tourist regions? In the history of outdoor recreation in Canada, Indigenous people play a complicated and contradictory role. Native people were crucial to early tourism in this country, serving as guides for big game hunters and other backwoods travellers from the nineteenth century onwards. Nevertheless, First Nations frequently were erased from those landscapes that settlers associated with wilderness recreation. Governments relocated indigenous communities that stood in the way of parks, while the Group of Seven produced a national art tradition that celebrated tourist areas such as Georgian Bay while eliminating any trace of the native people who lived there. A different kind of erasure took place where summer homes were concerned. 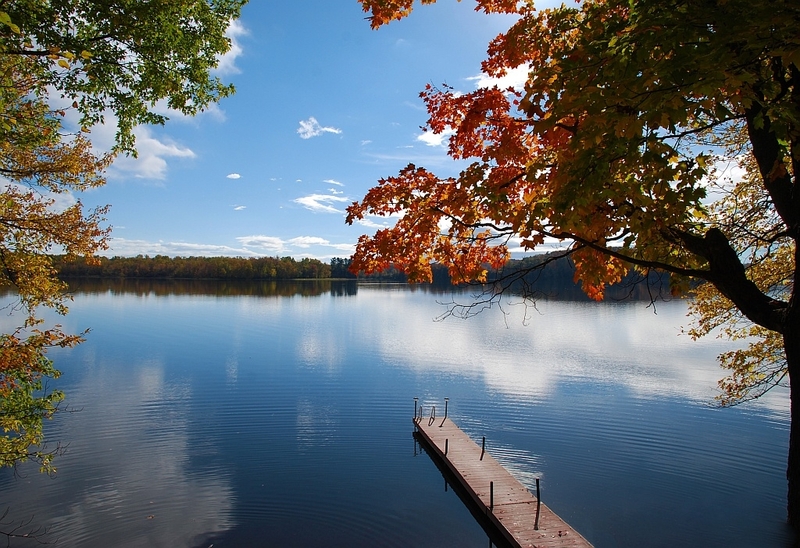 The very term “cottage country,” which gained popularity in Ontario after the Second World War, rhetorically removed all groups other than cottagers. Though the term was never applied with much geographical specificity, it reduced much of the province to a recreational hinterland of distant southern cities. Overlooked was the fact that “cottage country” was also a landscape of work, industry, and permanent local populations, including First Nations. Tensions between “the summer people and the natives” are an inherent part of cottaging. But the relationship between tourists and local populations becomes even more complicated when the “natives” are, well, native. Racial and cultural differences and the legacy of colonialism loom large. Much like children’s summer camps, cottages have historically given white, middle-class Canadians an opportunity to “play Indian.” Many Ontario cottagers Christened their summer homes with pseudo-“Indian” names, or decorated them with sweet grass and self-carved “totem poles”—actions that were intended to honour native people. But as is shown by the example of totem poles—which come from the west coast, not Ontario—cottagers adopted decontextualized symbols of a generic Indian-ness that reflected no true understanding of native people and their cultures. Yet the popularity of cottaging has also created opportunities for some Indigenous people. During the postwar period, Ontario First Nations leased thousands of vacation homes to non-natives, and built services that catered to these summer visitors. These businesses generated much-needed revenue, but they also meant that for native people, cottaging was a form of double colonialism. After having lost their territories to European settlers and being forced onto reservations, First Nations were now leasing those reserve lands to the white descendants of their original colonizers. Small wonder, then, that when these leases expired in 2011, some native groups refused to renew them. However disappointing such decisions must have been for the cottagers involved, there surely was some poetic justice in the spectacle of white people being forced off of native land. Of course, most Ontario summer homes are located not on reservations, but on former Crown Lands that were privatized long ago. The great fear amongst some cottagers is that they will lose their recreational properties as part of modern treaty negotiations. One man candidly told me that if natives were to launch land claims on his lake, “there’d be gunfights, I’m sure of it. I would have defended our cottage with our gun if some Indian wanted it.” Such fears are misplaced, since the federal government apparently has assured Canadians that private property will not be confiscated as part of any land-claims resolutions. But while my interviewee may have been extreme in his vehemence, his opinion wasn’t wildly out of sync with those of many other cottagers, whose sympathy for native land claims historically has been uneven at best. Still, the chances of cottagers having their summer homes expropriated seem slim. A more likely source of tension is economic development by First Nations that contradicts narrow visions of cottage country as a site of leisure and outdoor recreation for settlers from the city. Examples of such development might include industry, the use and management of wildlife, or perhaps the harvesting of wild rice, as in Drew Hayden Taylor’s play. Conflict over these practices is possible, but by no means inevitable. The key is for all those who share an affinity for “cottage country” to embrace the spirit of reconciliation, and to deepen their understanding of the place they love—in all of its historical complexity. The prospect of land and water disputes in cottage country clearly is less pressing than many other issues that First Nations currently are confronting, such as Murdered and Missing Indigenous Women and Girls, the mercury poisoning of native communities in northern Ontario, and the glaring faults of Canada’s justice system, as exposed by the Gerald Stanley decision. Even so, as Canada begins a new chapter in its relationship with First Nations, developments in the country’s recreational landscapes bear watching. After all, the greatest confrontation in recent memory between native people and the Canadian state had its origins in a proposal to expand a golf course. Peter A. Stevens has a Ph.D. from York University. He has published on various aspects of Canadian leisure history, including numerous articles on family cottaging in Ontario. Follow him at @peterastevens1 and find him online at peterstevens.ca. Julia Harrison, A Timeless Place: The Ontario Cottage, (Vancouver: UBC Press, 2013), 24-26; Peter A. Stevens, “‘Roughing it in Comfort’: Family Cottaging and Consumer Culture in Postwar Ontario,” Canadian Historical Review, Vol. 94 No. 2 (2013): 234-62; Peter A. Stevens, “A Little Place in the (Next) Country: Negotiating Nature and Nation in 1970s Ontario,” Journal of Canadian Studies, Vol. 47 No. 3 (2013): 42-66. Patricia Jasen, Wild Things: Nature, Culture, and Tourism in Ontario, 1790-1914, (Toronto University of Toronto Press, 1995). Theodore Binnema and Melanie Niemi, “‘Let the Line Be Drawn Now’: Wilderness, Conservation, and the Exclusion of Native People from Banff National Park in Canada,” Environmental History Vol. 11 No. 4 (2006): 724-50; John Sandlos, “Not Wanted in the Boundary: The Expulsion of the Keeseekoowenin Ojibway Band from Riding Mountain National Park,” Canadian Historical Review, Vol. 89 No. 2 (2008): 189-221. Jonathan Bordo, “Jack Pine—Wilderness Sublime or the Erasure of the Aboriginal Presence from the Landscape,” Journal of Canadian Studies, Vol. 27 No. 4 (1992-1993): 98-128; Claire Elizabeth Campbell, Shaped by the West Wind: Nature and History in Georgian Bay, (Vancouver: UBC Press, 2005), 145-47. James William Jordan, “The Summer People and the Natives: Some Effects of Tourism in a Vermount Vacation Village,” Annals of Tourism Research, Vol. 7 No. 1 (1980), 34-55; John Michels, Permanent Weekend: Nature, Leisure, and Rural Gentrification, (Montreal and Kingston: McGill-Queen’s University Press, 2017), 66-83, 113-6. Sharon Wall, The Nature of Nurture: Childhood, Antimodernism, and Ontario Summer Camps, 1920-55, (Vancouver: UBC Press, 2009); Daniel Francis, The Imaginary Indian: The Image of the Indian in Canadian Culture, (Vancouver: Arsenal Pulp Press, 1992). Tina Loo, States of Nature: Conserving Canada’s Wildlife in the Twentieth Century, (Vancouver: UBC Press, 2006). James Bartleman, Out of Muskoka, (Manotick, Ontario: Penumbra Press, 2002), 31. Peter S. Schmalz, The Ojibwa of Southern Ontario, (Toronto: University of Toronto Press, 1991), 244-51. Bruce W. Hodgins and Jamie Benidickson, The Temagami Experience: Recreation, Resources, and Aboriginal Rights in the Northern Ontario Wilderness, (Toronto: University of Toronto Press, 1989); Jocelyn Thorpe, Temagami’s Tangled Wild: Race, Gender, and the Making of Canadian Nature, (Vancouver: UBC Press, 2012). Hi Pete!!!! So good – thank you. Hayden’s play is based in part on James Whetung’s real life interventions, as well as those of others who use less visible tools and strategies. I like showing this video to students esp. in a class with folks from both sides of the treaties – it shakes out to a good conversation – elevates things somehow. Thanks for your post. I appreciate that you are writing with the intention of raising awareness around decolonization and reconciliation between Indigenous and settlers in cottage country. I wanted to point out some issues I take with how the issue of land dispossession is being framed in this essay. There is no mention anywhere in your post about land dispossession because this is what we are really talking about here. Most of this essay is framed around how settler-Canadians are inconvenienced by Indigenous acts of resistance. Again, here is another discussion focused on how the government will manage “the Indian problem.” We need to decolonize our thinking and move beyond this paradigm. Cottage country across Canada sits on the traditional lands and territories of Indigenous peoples and its important to acknowledge this. It is a contested space for this reason. I suggest you read the work of Indigenous scholars like Eve Tuck or Alfred Corntassel, who talk about these issues much more articulately than me. “Of course, most Ontario summer homes are located not on reservations, but on former Crown Lands that were privatized long ago”. Um, no. Again, these remain stolen lands. Is colonialism then only relegated to the past? It is a system that is very much alive and well and we must continue to dismantle it. Canada is not a settled and post-colonial society, no matter how much settler Canadians would like to think so. Who says cottage country offers a space for settler-Canadians to “play Indian”? Unless I missed something, is this an argument you are making? I am assuming you are a settler Canadian. Please be careful with terminology. It matters. In this essay, “indigenous”, “natives”, First Nations”, “Indian”, “aboriginal” are all used interchangeably. These words all have different political implications. “Indigenous” should be capitalized and is the more acceptable word to use, unless otherwise specified. Thank you for your thoughtful comments, Susan. Here’s a news story from Saskatchewan that raises some of the same issues that I’ve discussed in reference to Ontario.